From our office in Fort Myers, Colliers serves the region of Southwest Florida. We represent a broad base of brokerage and property management clients with local experts serving the area from Fort Myers to Naples. The Southwest Florida industrial, office and retail market remained stable through 2017. It's a landlord’s market with vacancy rates below 4% across all Southwest Florida submarkets. Demand did slow, but vacancy declined throughout the market. Tenants who expanded were able to do so within their existing space. Leasing activity slowed slightly as most tenants made their space decisions and are now in place for the duration of their leases. The third quarter of 2017 revealed continued strength in the Southwest Florida multifamily market. Capitalization rates have been steady for investors and buyer demand continues to be strong. While construction activity remained active, it is slowing down as recent apartment deliveries are entering the market. Looking for information about the markets in Southwest Florida or what properties are available from our Colliers professionals? Subscribe and get the latest information directly to your inbox! Originally founded in Clearwater, Florida in 1974 as Lee Arnold & Associates, the firm grew over the next 10 years to add property management and appraisal divisions. In 1995, Lee Arnold & Associates joined Colliers International and became Colliers Arnold. A year later, our central and southwest Florida offices opened in Orlando and Fort Myers. Our property management team also expanded into the Jacksonville region in 2006. In 2010, Colliers Arnold re-branded to Colliers International Tampa Bay, Central and Southwest Florida. 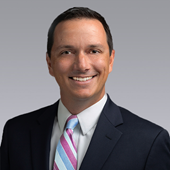 Danny joined Colliers in early 2018 as Managing Director/Market Leader for the Central Florida markets, which encompass the major metropolitan areas of Orlando, Tampa, Clearwater, Sarasota, Ft Myers and Naples. With over 13 years of experience, Danny brings to Colliers a depth of knowledge with commercial real estate brokerage & technology, having started, worked for and/or coordinated with various tech companies across the country that are helping to accelerate the success of brokers and their clients. His hands-on approach and knowledge of the brokerage business and intersection with technology ultimately allows Danny to share and deliver new ideas that benefits our clients. In his role, Danny works directly with the other leaders on the executive team to develop and execute the overall corporate strategy for Colliers International in the Central Florida markets As Colliers and the Central Florida markets continue to expand, his focus is to develop, recruit and assist the top brokers in the markets and provide our clients with a high-level of service.